Lassco has announced its new CR-55 Corner Rounder Cutter. What is unique about this machine is its ability to cut and round corner a larger stack of cards. 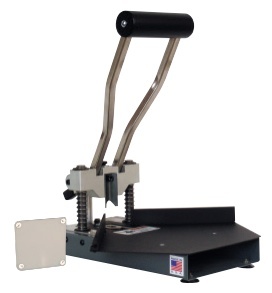 If you are processing a large number of business cards that need round cornering, this round corner cutter can help you process the volume other machines can not. It has a 2” cutting capacity which allows you to cut stacks of documents at a time. So, if your current round corner blade can only cut stacks at 1” at a time, this can double your volume and cut the time to produce in half. Quite simply, a project that used to take you an hour to do, now only takes 30 minutes to complete. The faster you can get a project done, the more margin you can get out of your job. 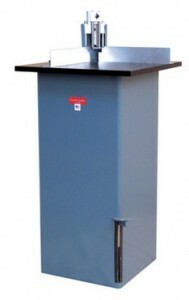 The CR-55 has a 20” x 20” table size. It has a manual foot operation. It has 4 radii available for multiple cuts. We think it is a nice round corner for the cost. You will be able to recoup your cost rather quickly if you are doubling your productivity with it. You can find it at Lloyds of Indiana.